FORT LEE, NJ (JANUARY 20, 2015) - Z Realty Group announced the firm has successfully arranged the sale of 220 Straight Street in Paterson, New Jersey, a 76-unit apartment complex in Hudson County. Zeynep "Z" Ekemen, Managing Principal at Z Realty Group, noted there was a lot of interest among both U.S. and foreign buyers, since few such distinctive properties come on the market in Northern New Jersey. 220 Straight Street has been converted into 76 units for residential use from a former textile mill building. The 60,000 square foot building features 45-flex convertible two (2) bedroom units in which a loft can be used as a second bedroom, 3-flex three (3) bedroom units, 3-flex four (4) bedroom units and 15-fourth floor Duplex two (2) bedroom units. All units in the building are market rent apartments. The property is just a few blocks away from I-80 and in close proximity to Garden State Parkway. Z Realty Group represented the foreign investor and American Properties Realty represented the seller. 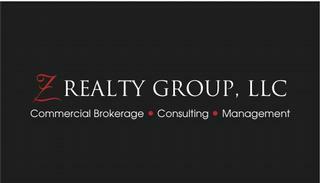 Z Realty Group, New Jersey's only woman-owned full-service commercial real estate brokerage firm specializes in Investment Sales, Real Estate Development, Industrial Properties, Retail Leasing, Owner Representation and Built-to-Suit Leases and Sales. The firm provides a relationship-driven approach to structuring and marketing properties.